OARS is a 501(c)(3) non-profit organization whose mission is to protect, improve and preserve the Assabet, Sudbury, and Concord Rivers, their tributaries and watersheds, for public recreation, water supply, and wildlife habitat. 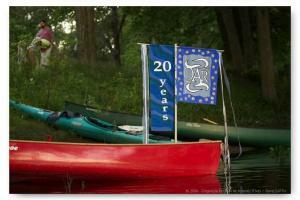 Established in 1986 as the Organization for the Assabet River by a group of concerned citizens, OAR added the Sudbury and Concord Rivers to its mission in 2011, becoming OARS. Currently the organization has approximately 1,000 individual and family memberships, a 12-member Board of Directors, and 4 full- and part-time staff. Together with our volunteers and partners, OARS has made significant progress over the past 32 years towards achieving our mission. • Work collaboratively with local and state governmental officials, community members, and others toward solutions that will help the rivers achieve their “fishable and swimmable” state standard. Awareness and Stewardship. OARS believes that stewardship grows out of increased public understanding of the causes of--and solutions to--the problems our rivers face. OARS offers a variety of opportunities to get involved, enjoy, and learn about the rivers. Our public outreach, education, and recreational programs include: summer solstice and Earth Day celebrations, volunteer-based water quality monitoring, summer Water Wise Workshops for children, an annual Environmental Innovators Contest for high school students, public lectures with featured speakers, and (of course) this very informative website. OARS also publishes a newsletter and makes presentations at conferences, to civic organizations, and local schools. Science. To ensure that decisions affecting the river are based on sound science, OARS has been monitoring the quality of the Assabet and its tributaries since 1992 and now monitors all three rivers. OARS has also been extremely successful in advocating for further study of the Assabet. As a result of OARS’ leadership, a nutrient TMDL (Total Maximum Daily Load) analysis of the Assabet and a USGS hydrologic study of the river’s aquifers were completed in 2004, and an Army Corp of Engineer's sediment remediation study was funded and was completed in 2010. Solutions. OARS works to improve and protect water quality by encouraging innovative solutions to long-term problems. OARS advocates for use of low impact development (LID) techniques, comments on water withdrawal permits, wastewater discharge permits, and projects with potential impact on the three rivers and their tributaries. We work closely with regulatory agencies and municipalities to assure the rivers have a “strong voice” in all major decisions that affect them. As a member of the Sudbury-Assabet-Concord Wild & Scenic River Stewardship Council, the SuAsCo Cooperative Invasive Species Management Area (CISMA), a participant in the Assabet Consortium's Comprehensive Wastewater Planning process, a member of the Assabet River Sediment Study and Dam Removal Study Coordination Team, and many other collaborative efforts, OARS works with our watershed communities, state, and federal agencies to protect our rivers. OARS relies heavily on volunteers to accomplish our goals; over 200 volunteers participated in the 2016 annual cleanup (removing several tons of trash from our rivers) and 60 volunteers hand-pulled water chestnut. We are also very fortunate to have volunteers that donate their professional services to OARS including scientific and legal analysis, graphic design, writing, computer support, web design, fundraising, and public relations skills. Not to mention their strong muscles and small trucks. We are extremely grateful to the many OARS members who have used their time and talents to help OARS and the three rivers and we owe much of the organization’s success to their efforts.